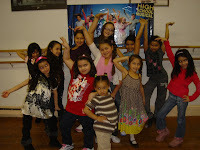 About a year ago I started advertising the services we provide other than dance instruction to children and young adults. Services such as my mother and I providing Quinceanera choreography, hosting children's birthday parties, or choreographing first dances at weddings to those who inquired. Thankfully, the clients were always very happy with our work. I also have had several years of what is know as "party motivating" experience. This is when a dancer accompanies the DJ to get the crowd dancing at parties. So, I figured why not make this bigger and advertise to our current costumers. Our regular clients had no idea we provide these services, so lets make it known! With that Uptown Entertainment was born. Kids: Great for unique Birthday parties, or any occasion to have fun! 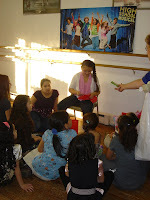 One of the most recent events was a students Birthday Party. 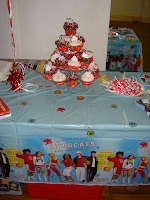 She picked the theme of High School Musical. 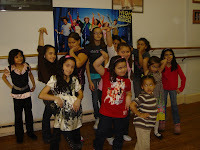 We warmed up and played dance related games to all 3 soundtracks from the movies, then I taught them some simple choreography to I Want It All. 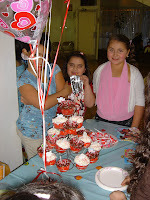 The kids ate, opened presents and had yummy cupcakes. It was a lot of fun and most importantly the birthday girl and others had a blast! 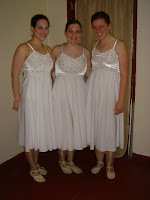 After this dance my girls and I performed a contemporary ballet piece to Dangerously In Love. It was a very unique wedding which we were thrilled to be a part of. I hope this trend continues, because this line of work is very exciting for us. 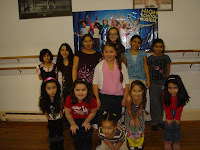 It also gives my older students an opportunity to perform outside of the studio. 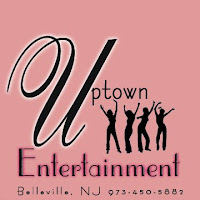 If you are in the tri state area and have an event that needs a special touch, something unique that will make your occasion stand out, contact Uptown Entertainment. We will help you create an idea that will be memorable for you and your guests. Thanks for taking the time to check us out and reading our blog. If you enjoy what we do please become a fan of the blog by clicking the follow button on the main page. Great job Miss Leslea! Keep up the impressive work!